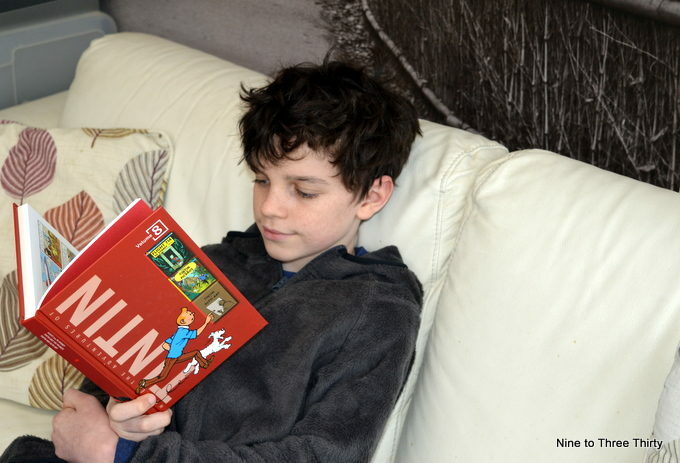 H started reading Tintin many years ago. He choose one of the books on a bookstore outing and then he worked his way through the whole of the series of books, most of which we borrowed from the library. Getting books out of the library is great, but it’s not the same as having the books yourself. H often rereads favourite books, particularly comic books and mangas. His Pokemon books have been read and reread probably 10s of times. The books have made quite a mark over the years and I’ll never forget the conversation H had some years ago with our guide round Berwick-Upon-Tweed’s town hall: H and the guide were happily discussing Captain Haddock (one of the main characters in the Tintin books) whilst viewing the ‘drunk’s cell’ on the top floor (if you are ever in Berwick, it’s well worth a visit). Some of the books show their age more than others (for example Tintin in America which displays some attitudes that wouldn’t be acceptable now, but we’ve had a chat about that with H and it’s no different from reading a Victorian novel or something similar), but they still are fun to read for children today. 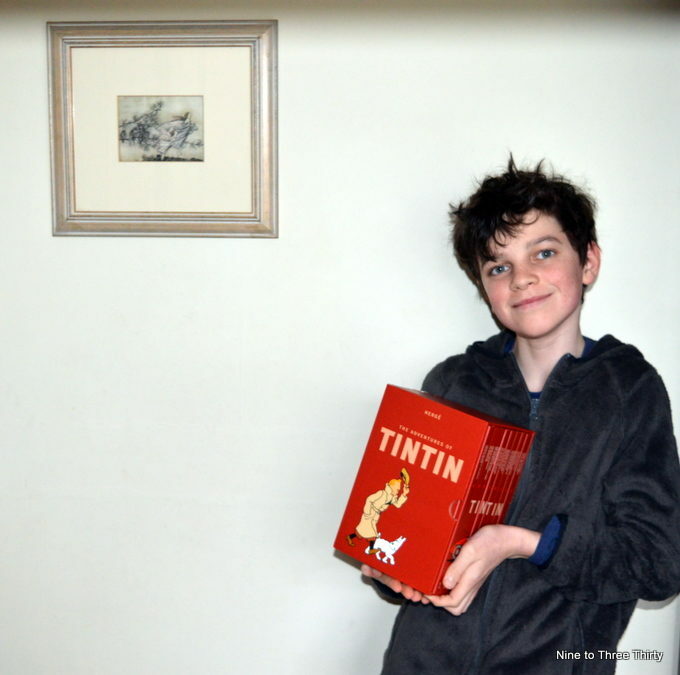 We were sent a Tintin boxset by Books2Door recently, so H has been able to revisit some of his old favourites and some of the books that he has only read once. Books2Door do some great value boxsets like the Tintin boxset that H has been reading. There are 8 volumes in the collection, each of which contains 2 or 3 of the Tintin stories, in fact it’s a complete collection, and the price is a very reasonable £39.98. H’s favourite Tintin stories are: The Blue Lotus, Flight 714 to Sydney, Tintin and the Picaros, and Prisoners of the Sun. H is a big fan and is really liking having the complete collection at his fingertips. The books look great and it’s a real good value for money. I agree that it’s nice to have the books at home if you want to re-read them. I plan to buy some books I’ve borrowed from the library, because I want to read them again. Box sets make such great gifts don’t they. We haven’t read any of the Tintin books but I’m going to look out for them for my two. Gosh, I used to love TinTin so much when I was younger. It’s like a flashback of my childhood. The boxset looks absolutely great, it would make such a nice gift.